In late 2016, the CGIAR Research Program on Livestock and Fish produced several synthesis products, including a series of briefs on its animal health work carried out between 2012 and 2016. Pig keeping is an increasingly important livelihood strategy for rural households in Uganda. Most pigs are kept by smallholder households—managed by women—under extensive systems. 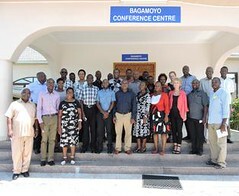 The pig value chain was included in the CGIAR Research Program on Livestock and Fish due to the growth potential and competitiveness of small-scale pig production in sub-Saharan Africa. Over the last five years, scientists have significantly enhanced their understanding of the composition, structure and workings of the Uganda pig sector. This brief brings together some of the most compelling evidence and best practices in animal and human health control, specifically vaccines and diagnostics, from research by the Livestock and Fish program in collaboration with the CGIAR Research Program on Agriculture for Nutrition and Health (A4NH). Steinaa, L., Bishop, R., Okoth, E., Svitek, N. and Riitho, V. 2016. 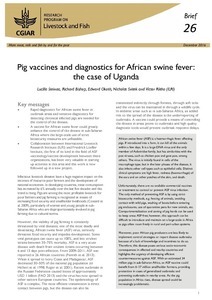 Pig vaccines and diagnostics for African swine fever in Uganda. Livestock and Fish Brief 26. 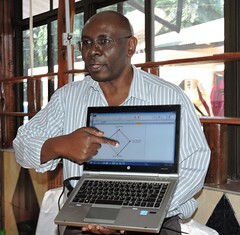 Nairobi: ILRI.